Our NEMA/IP rated weather-resistant PMFS is safe and reliable in the toughest conditions and custom-built to requirements. 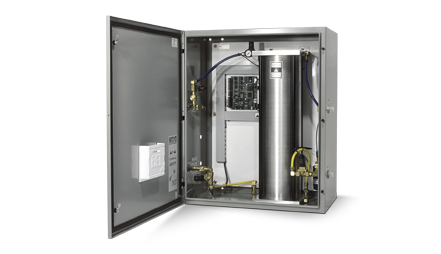 It is formed of a Central Pump System (CPS) which feeds fluid to a Secondary Pressure System (SPS) where the fluid and gas are combined and supplied to multiple NEMA 4X/IP66 MILSPEC Fog Heads (FH). All is controlled from a remote Central Control System (CCS). 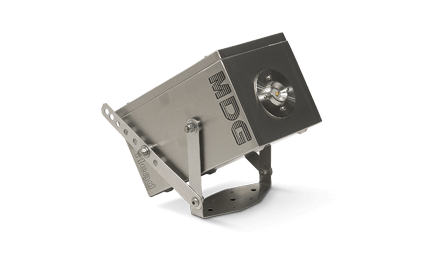 The Fog Head (FH) is the NEMA 4X/IP66 MILSPEC-built device that produces fog. The Central Pump System (CPS) is the device which distributes MDG Neutral Fluid to one or more Secondary Pressure Systems (SPS). 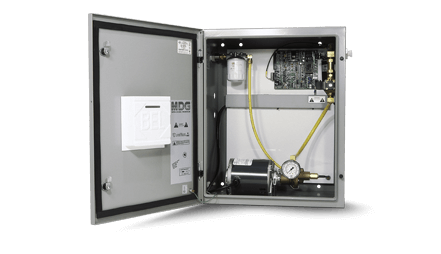 The Secondary Pressure System (SPS) is the device that distributes MDG Neutral Fluid and Nitrogen (N2) to the Fog Heads (FH). The Central Control System (CCS) controls and provides status for up to six Fog Heads. 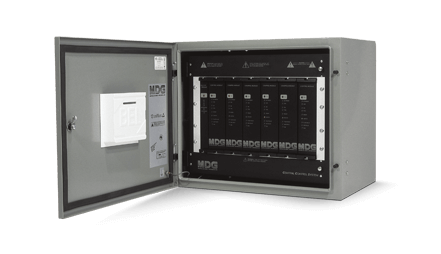 It also interfaces with the user internal operating (I/O) system.